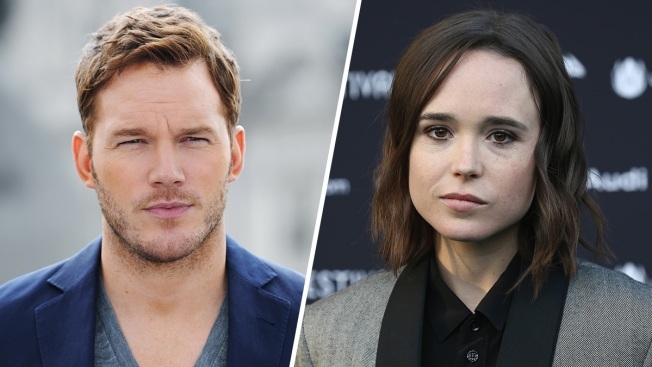 Last week, actress and activist Ellen Page took to social media to respond to a tweet about Pratt and his appearance on "The Late Show." "Fresh from fasting, @prattprattpratt talks about his spiritual side on @colbertlateshow," the tweet from The Hollywood Reporter read. In response, Page tweeted, "Oh. K. Um. But his church is infamously anti lgbtq so maybe address that too?" "If you are a famous actor and you belong to an organization that hates a certain group of people, don't be surprised if someone simply wonders why it's not addressed," she tweeted. "Being anti-LGBTQ is wrong, there aren't two sides. The damage it causes is severe. Full stop. Sending love to all." Page also added, "If lgbtq+ people are expressing their pain, their trauma, their experiences...maybe just try and listen? Open your heart, stop being defensive and have compassion. It's a beautiful and life-changing feeling, empathy. Much love truly to all." In Aug. 2015, Brian published a blog post entitled, "Do I Love Gay People?" In the post, Brian wrote in part, "Hillsong Church welcomes ALL people but does not affirm all lifestyles. Put clearly, we do not affirm a gay lifestyle and because of this, we do not knowingly have actively gay people in positions of leadership, either paid or unpaid. I recognize this one statement alone is upsetting to people on both sides of this discussion, which points to the complexity of the issue for churches all over the world." However, the Zoe Church website states, "Our church is a place where our doors are open to people of all backgrounds---regardless of where they are at in their journeys--- and we hope all feel welcomed, comfortable and loved." "It has recently been suggested that I belong to a church which 'hates a certain group of people' and is 'infamously anti -LGBTQ.' Nothing could be further from the truth," Pratt wrote. "I go to a church that opens their doors to absolutely everyone." "Despite what the Bible says about divorce my church community was there for me every step of the way, never judging, just gracefully accompanying me on my walk," he continued. "They helped me tremendously offering love and support. It is what I have seen them do for others on countless occasions regardless of sexual orientation, race or gender." "My faith is important to me but no church defines me or my life and I am not a spokesman for any church or any group of people," Pratt went on to write. "My values define who I am. We need less hate in this world, no more. I am a man who believes that everyone is entitled to love who they want free from the judgment of their fellow man." "This is what guides me in my life. He is a God of Love, Acceptance and Forgiveness. Hate has no place in my or this world," Pratt concluded his post also adding, "Jesus said, 'I give you a new command, love one another.'"